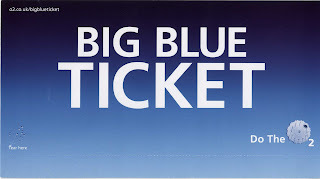 O2 hide Big Blue Tickets all over London! 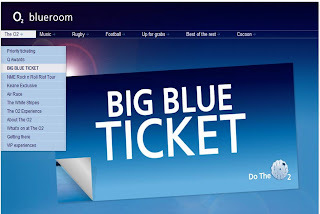 (Mobile phone network) O2 have launched a very creative promotion in London today called the 'Big Blue Ticket.' Apparently thousands of 'tickets' have been hidden in random places all over London. If you find one then you take it to an O2 shop, where your unique code is scanned / checked. 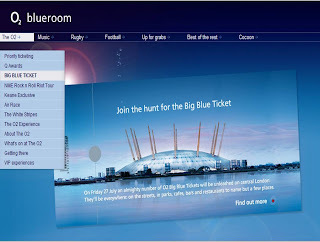 Winners will be awarded tickets to events at the O2 and various other things. I have just found one in Soho, below. Very excited so will go in at lunchtime and keep my fingers crossed to win the VIP Take That tickets!